In modern times, everyone strives for a home that suits them. From the simple to the extravagant of designs, there is no end to the kinds of homes we can come up with for ourselves. But what we must remember is we all live in the same home, and that’s Earth. A lot of our homes tend to be built at the expense of our environment. 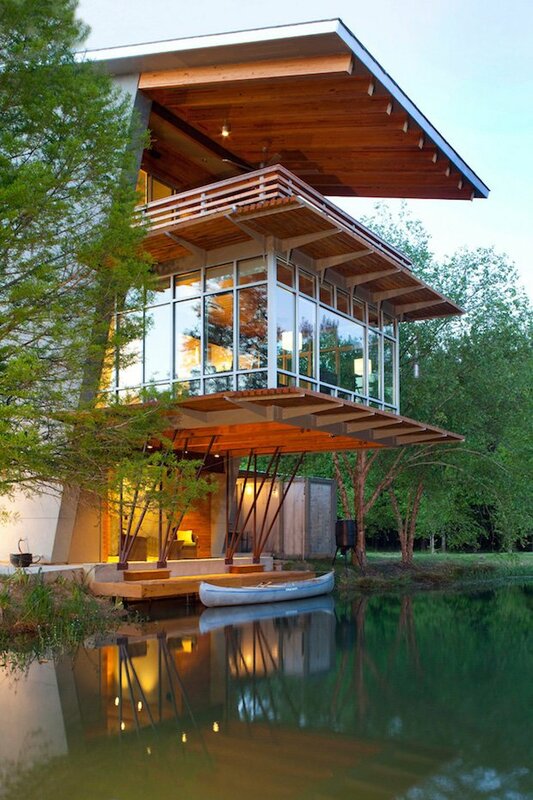 So why not go for a house design that suits both us and our environment? Holly & Smith Architects came up with The Pond House, a beautiful modern home that caters to the needs of its residents and that of the environment. This home features self-sustainable and eco-friendly qualities such as its maximum exposure to sunlight for solar power, cross-ventilation, natural lighting, and many more. 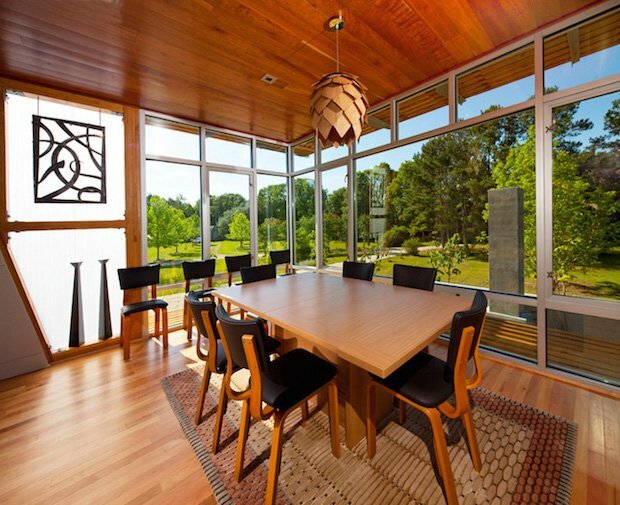 This home also shows that eco-friendly homes can be stylish too. 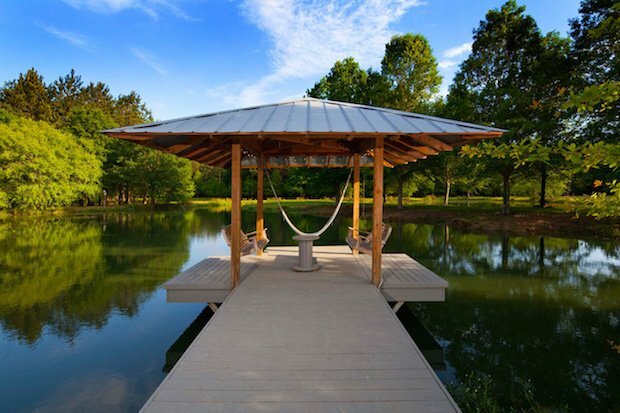 The beautiful retreat–which is known as The Pond House–seamlessly blends in with its serene surroundings. 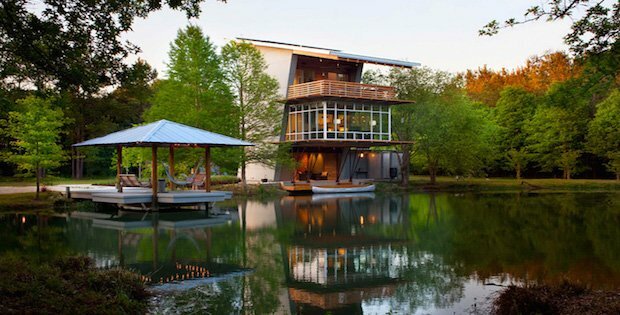 The naturalistic look of this residence is enhanced by the fact that it overlooks a calming pond lined with towering oak trees. At night, this view becomes even more incredible as the home illuminates the rustic darkness like a giant, glowing lantern.